WHO/Europe's new evidence brief reviews the effects of large pictorial warnings on the packaging of tobacco products on knowledge and behaviour. Studies have shown that pictorial health warnings increase attempts to quit and decrease smoking uptake. Combined written and graphic health messages on the packaging of tobacco products are more effective than text-only warnings. Contrary to tobacco companies' claims, pictorial health warnings are quick and cheap to apply, and do not increase illicit trade. As Romania and the United Kingdom are the only countries in the WHO European Region to have implemented pictorial health warnings designed by the European Commission, the evidence brief gives examples of pictorial warnings' effectiveness from countries both within and outside the Region. In a Canadian study, 44% of smokers reported that pictorial health warnings had increased their motivation to quit. 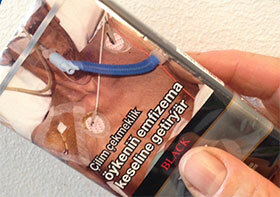 In Romania, combined text and pictorial warnings prompted 31% of smokers to try to quit. Providing a quitline telephone number on packages increases attempts to quit. Brazil registered an almost ninefold increase in quitline calls within 6 months of adopting pictorial warnings. The United Kingdom registered twice as many quitline calls per month after introducing larger textual warnings. Health warnings on packs are among the most effective sources of health information. More smokers report learning of the risks of smoking from them than from any other source, apart from television. Many non-smokers know of the health warnings on packs. A European Union (EU) study revealed that 61% of Romanian and 56% of British respondents found health warnings on tobacco packs more effective when they comprised picture and text, rather than text alone. The revised EU Tobacco Products Directive, which entered into force on 19 May 2014, requires both textual and pictorial warnings, covering the top 65% of both front and back of tobacco packs. World No Tobacco Day, 31 May 2015, focuses on eliminating the illicit trade in tobacco products. This would benefit Europe the most among WHO regions. Illicit trade in cigarettes is estimated to account for 6–10% of the total market in the European Region.